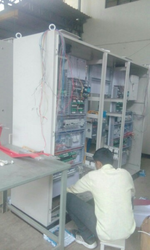 >Power Formers Engineers (P) Ltd.
Power Formers Engineers (P) Ltd.
Power Formers Engineers (P) Ltd. - Manufacturer of power formers engineers custom panels, abb ac150 component drives & digital dc converter 20 to 1000a dc in Pune, Maharashtra. We have the experience and know how to provide you with the best drive for your application. 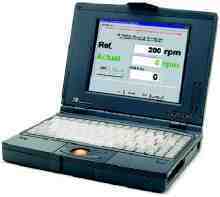 Joliet Technologies can evaluate your current equipment and recommend either a Retro-Fit or System Replacement. Feel free to contact us with any drive questions you may have. 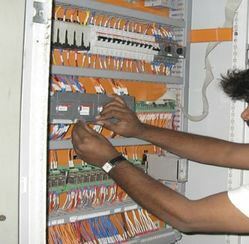 Joliet Technologies is dedicated to provide the highest quality equipment and service. This is why we started this company. With our experience, expertise and commitment, you will be completely satisfied with our workmanship and our work ethic. All work is performed following our Quality Assurance System (based on the ISO9001:2008 Standard), assuring you the highest quality. 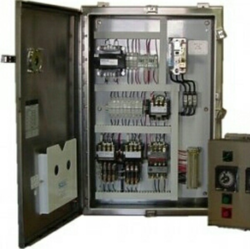 From system integration to panel fabrication Joliet Technologies provides quality systems and custom control panels for new applications or system upgrades, all in a timely fashion, and at competitive rates. 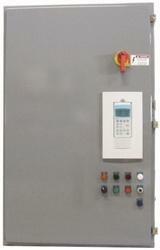 Do you know how to maintain a VFD? Doing so is easier than you might think. By integrating some simple, logical steps into your preventative maintenance program, you can ensure your drives provide many years of trouble-free service. What is an ACS150 component drive? 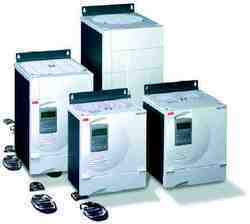 The ABB component drives meet the requirements of OEMs, system integrators and panel builders. It is a component that is bought together with other components. The drive is stocked, and the number of options and variants are optimized for distribution. 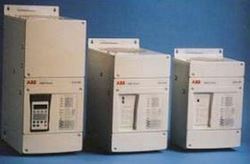 ABB component drives are designed to meet the requirements of an extensive range of machinery applications. The drive is ideal for food and beverage, material handling, textile, printing, rubber and plastics and woodworking applications. Cost-saving for machine builders. Fast and trouble free parameter set up without power. Fixed interface Integrated non-removable control panel. Settings shown on the control panel Easy speed setting. Built-in brake chopper Reduced cost. Gives freedom to choose the resistor supplier. 100% braking capability. Flexible installation All units fit in the same sized cabinet Unified height and depth for all frame sizes for optimal use of cabinet space. Coated boards Longer lifetime in hostile environments. ABB has developed a user-friendly drive system package (DCS 400, DMI Motor) to meet the demands of machine builders. Our aim is to offer the best combination of reliable products at the most affordable price, backed by on-time delivery, good partnership and fast response to inquiries. At the heart of the drive package is the DCS 400 – a new generation of DC drives specifically designed to meet the ever-changing needs of machine builders. as easy to handle as an analog drive yet incorporates all of the features of a digital drive. easy to design into machine equipment, with just the right amount of features. easy to install and set-up, even by those without special drives experience. The DCS 400’s compact design brings substantial space savings to machine builders, allowing them to integrate more accessories within the same space. Existing DC drives are easily replaced with the DCS 400. At only 103.4 in (270 mm) wide, and with all the power cabling located at the base of the drive rather than the side, two DCS 400 units can be installed inside the same 233.4 in (600 mm) cabinet. The field supply, including the fuse and choke, are integrated into the DCS 400, further contributing to its small size and simplicity of design. 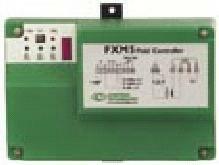 No need for a field voltage adaptation transformer to match the line supply voltage with that of the motor. The DCS 400 uses fewer components, leading to both smaller size and greater reliability. 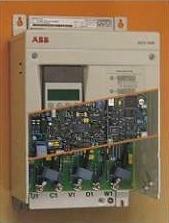 ABB’s DCS 500 Digital Drive is designed to be used in both simple and complex applications. Advanced Control panel operation and easy Application Block Programming make the drive flexible and user friendly. The DCS 500 takes advantage of ABB’s extensive experience in DC drives. High quality components together with the latest production technology guarantee reliable operation and customer satisfaction. Performance with flexibility for industrial or commercial applications. The DCS500 can be controlled and monitored from either a PC-based Commissioning and Maintenance Tool or from a Control Panel which can be moved from one drive to another. Drive applications can easily be changed with programmable function blocks. Application programs allow the drive to be configured without additional hardware. Changes can easily be made via the Control Panel. Sizing a drive to a target horsepower, current and voltage required. Power and harmonics issues can be addressed and corrected through the use of isolation transformers, reactors and filter packages. Customizing control and analog circuitry to be integrated in with existing engineered specifications. 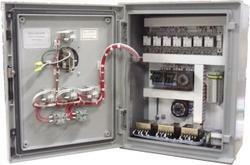 MCC and Switchgear installation type custom packaging for growing demands of the industry. Peer to Peer and Master/Slave drive configurations for Follower and High Horsepower applications. Engineered cabinet cooling system for any environment. Today’s drives are more compact and can be placed in smaller enclosures only if the correct cooling is applied. 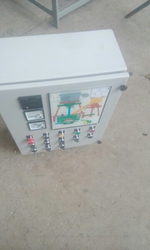 A customized AC Controller from an industrial controls supplier, like Power Formers Engineers, can provide you with all the required components from, programming of the PLC, touch screen controls, simple starter or contactor cabinets, all customized for your unique needs. All down stream electrical auxiliary equipment controls, such as hydraulic pumps, air pumps, solenoid vales, exhaust fans and blowers can be packaged in a single enclosed control system. 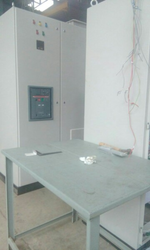 For MCC (Motor Control Center) AC Controller applications, Power Formers Engineers can add interconnect wire harnessing, PLC sections, and help with engineering and commissioning. From the basic starter panel, to the complex control system, Power Formers Engineers is prepared to work with you, to provide the controls needed to improve the preformance and production of your manufacturing machinery needs. Do you have ac motors in your facility? Do these motors need a variable output? Do you use mechanical means to vary the output? If you anwsered yes to these questions, you need to install variable frequency drives on these ac motors. If you are not using VFD’s you are wasting energy and throwing money out the window. In the United States 50% of the total electrical energy generated is consumed by rotating equipment. 65% of this total is consumed by centrifugal or flow related applications such as fans, blowers, compressors, and pumps according to current estimates. Variable speed drive technology offers a cost-effective method to match driver speed to load demands and represents a state-of-the-art opportunity to reduce operating costs and improve overall productivity. ower Formers Engineers is an OEM that custom packages, integrates and engineers AC Variable Frequency Drives (VFD), DC Variable Speed Drives (VSD) and AC Drive Controllers. Our drive systems integrate top of the line manufacturers, like ABB, Emerson (Control Techniques & Saftronics / Fincor), Siemens and WEG to name a few. Our added value custom drive packages are built to your specifications for your application. You can divide the world of electronic motor drives into two categories: AC and DC, a motor drive controls the speed, torque, direction and resulting horsepower of a motor. 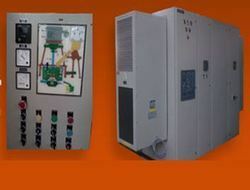 AC drives control AC induction motors. DC drives typically controls a shunt wound DC motor, which has separate armature and field circuits. 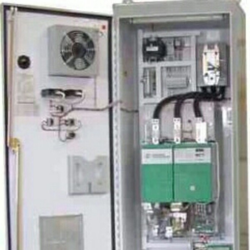 Motor drives are also known as DC Drives, AC Drives, SCR Drives (Silicon Controlled Rectifier Drive), Variable Frequency Drives, Variable Speed Drives, Adjustable Speed Drives, Electric Motor Drives, Electronic Motor Drives, AC Motor Controllers, AC Inverters, Pulse Width Modulation (PWM) Drives and a few other names. Torque control and limiting Brush life commutation maintenance. The AC Variable Frequency Drive market is huge, due to the great advances in highly reliable AC power electronics and high power microprocessors. 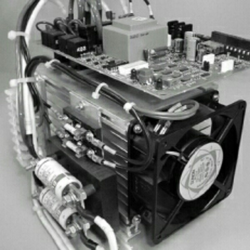 The Flux Vector AC Drive for example, can compete on an application basis that DC Drives would in earlier years be required. 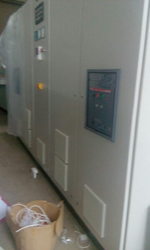 Even though AC Variable Frequency Drives are readily replacing DC Drives and motors, there is still a large base of DC equipment that has to be supported by experienced technicians. Joliet Technologies believes that by not abandoning the DC market we can better serve our customer base demands. For example, older machines with multiple exciting DC Analog drives and motors may be a great candidate for retrofitting newer digital DC drive equipment. Saving cost and down time. 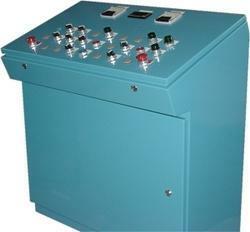 With removable Control Panel, several converters can be programmed with a single panel.